Using scraps of collage, sketches, doodles and tidbits of memorabilia which have informed his practice over the past five years, Geoff Newton explores the germination of ideas in these new works on paper. Reminiscing about jokes that shouldn’t have gone any further, this is a series of one-become-two liners. Since 2000 Geoff Newton has held several solo exhibitions, including Geoff Newton, Block Projects; Studio Tan, Gallery 9, Sydney; Hygiene Genie, Seventh Gallery; Great Phone Calls, MOP projects. 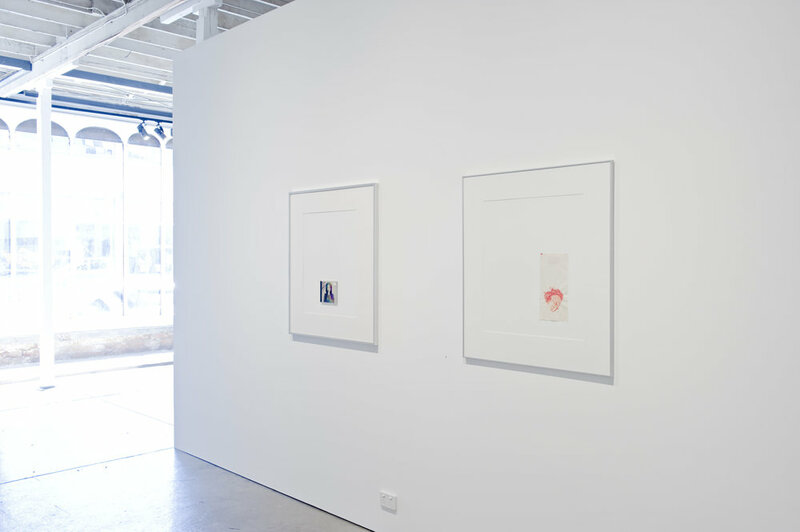 Recent group shows include City Art Rooms, Auckland, NZ, 2009, Old Skool (Don’t lose that feeling)curated by Robert Cook and Hannah Matthews, PICA, WA, 2008, and Octopus 7, curated by Robert Cook, Gertrude Contemporary Art Spaces, 2007. Newton is the co-founder and co – director of Neon Parc, Melbourne. His works are featured in Artbank, KPMG and private collections in Australia, New Zealand and the U.K.